Almost immediately after it was founded in 2004, Facebook became the most popular social media network around the world. Today, Mark Zuckerberg’s social experiment at Harvard University has more than 2.2 billion monthly active users. However, the gigantic media conglomerate is losing its grip on users. The amount of time people are spending on Facebook has dropped by almost 7% since 2017, according to Nielsen. Facebook’s popularity amongst millennials and Gen Z-ers is even worse. 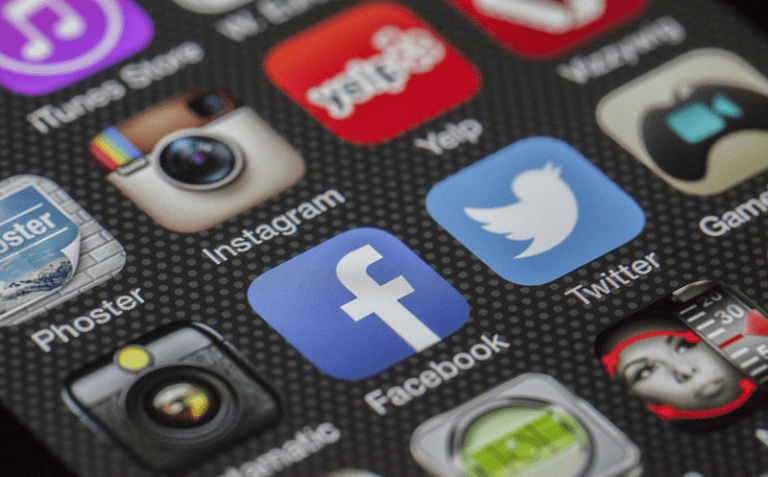 A new study by Common Sense Media cited by the news website Axios found that only 15% of teens ages 13 to 17 said their “go-to social site” was Facebook, down from 68% in 2012. Scandals, controversy, and oversaturation are motivating users to delete the app in droves. In September 2018, Pew released a survey that found that one in four Americans have deleted their Facebook over the last year. Users have already migrated to other experiences, so when will advertisers and marketers follow? 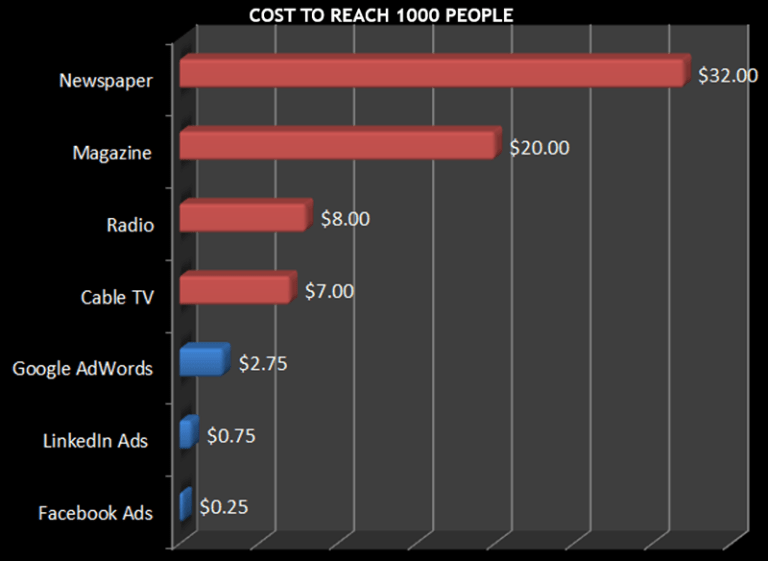 Facebook ads are cheaper than other marketing channels. Marketers can run remarketing campaigns to reach hundreds of people who visited their websites for less than $10 per day. That high KPI and ROI simply can’t be achieved by other media sources. The graph by Brian Carter on Moz illustrates these capabilities. –Geo-target. This allows politicians to zero in on people in a specific zip code, town, city or region. This reduces the likelihood of wasting ad spend on people outside of a specific voting district. –Demographic target. Politicians can serve ads to specific groups of people, such as 45-60-year-old men who work in blue-collar industries and make less than $50k per year. –Interest target. For example, Campaigns could deliver ads to people who are interested in outdoor conservation, fishing, and hiking. –Behavioral target. This tool targets the audience based on actions they’ve taken in the past. For example, retargeting campaigns can serve ads to someone who has interacted with one of an advertisement in the past. While Facebook boasts attractive advertising features, its user interface is cumbersome and requires frustrating experimentation in changing budgets, strategies, and targets to achieve your marketing goals. Why is that? The majority of your potential audience on Facebook can be irrelevant. For local offices with smaller voting bases, Facebook ads could waste too much time, money and resources. Here’s an example of a campaign by Republican Maryland Delegate Kathy Szeliga analyzed on Hines Digital. The parameters were people 18 years and older who live in Maryland. –There were more than six million Marylanders, of which 22.6% were under 18 years old, according to 2015 Census data. That means there were ~4.7 million Marylanders eligible to see that ad on Facebook — assuming every adult in Maryland has access to Facebook. –By contrast, the Maryland Board of Elections found there were only 631,632 registered Republicans in Maryland statewide. –This means that only ~10.5% of the people who could see that ad were eligible to vote in the primary. In other words, nearly 90% of the money being spent is was wasted on voters who cannot support Delegate Szeliga. One of the most overlooked variables in measuring KPI is the time of day. Currently, there is no option to target your Facebook ads at certain times within the day or on certain days of the week unless you choose a lifetime budget. IQM has found that the highest click-through rates for a campaign running on its platform is between 6-10 p.m. The September 2018 Nielsen data offered additional bad news about Facebook’s prospects. Over the past two years, its share of digital content consumption across all its apps (including Instagram) has dropped from ~20% to ~15%. By contrast, Google has grown markedly — from less than 25% two years ago to almost 35% in 2018, thanks in large part to the growth in YouTube. Marketers could learn a valuable lesson from the old saying, don’t put all your eggs in one basket. Even the most budget-conscious advertisers need to diversify their platforms to reach targeted audiences. It’s a strategic campaign that is well-timed, with a strong call to action that takes advantage of social media, display ads, email marketing, video and audio that will reach consumers and voters most effectively.